The ROLI Songmaker Kit is a fully modular bundle including the award-winning Seaboard Block, Lightpad Block, and Loop Block. Connected aroun.. The ROLI Songmaker Kit is a fully modular bundle including the award-winning Seaboard Block, Lightpad Block, and Loop Block. Connected around the Roli BLOCK technology, they form a powerful, integrated instrument that lets you make music anywhere. Customised hardware-software integrations help you make the most of the touch-responsive musical surfaces. Have fun building up — and breaking down —each part of your song with the ROLI Songmaker Kit. You can loop phrases and melodies, record and sequence multiple tracks and combine it with a comprehensive software package for even more creative control. Create astonishingly expressive music on a next-generation keyboard. Seaboard Block replaces a traditional keyboard with a soft, pressure-responsive surface that lets you touch and shape your sound. 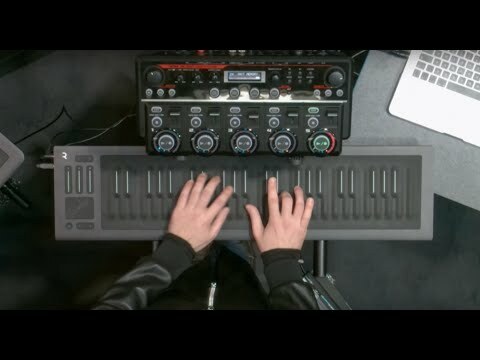 The smallest, more portable, most versatile, and most accessibly priced Seaboard ever made, Seaboard Block is the latest evolution of ROLI’s multi-award-winning Seaboard technology. 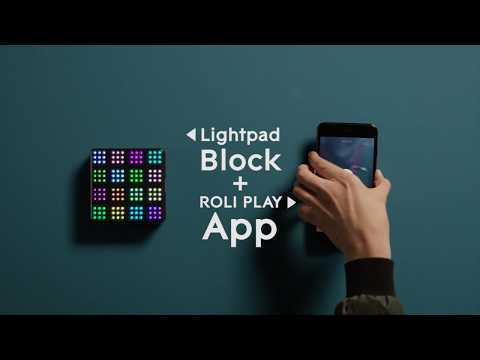 Lightpad M is the updated version of ROLI’s award-winning Lightpad Block. Its redesigned interface allows for even more precise and expressive playing. Dimpled with 225 micro-keywaves, the new Lightpad Block enhances the extraordinary tactile feedback of the original for an altogether more responsive playing experience. Designed to control any sound from drums to cinematic atmospheres, Lightpad M comes with an expanded suite of software including Equator Player and the Tracktion Waveform and Ableton Live Lite digital audio workstations. The controls help you set your tempo, record loops, and quantise your loops so they snap in time with the tempo. ROLI’s flagship software synthesiser and sound engine is custom-made for controlling and editing sound with Five Dimensions of Touch. Choose from hundreds of included sounds and a range of modulation functions. The Songmaker Kit includes a desktop sound player version of the acclaimed polysynth from FXpansion with 50 presets and 3 macros to play with. A cutting-edge digital audio workstation from Tracktion. Waveform seamlessly integrates the Seaboard and Lightpad's multidimensional expression data and helps you visualise and edit your projects with a range of features that are approachable to learners while also powerful for professionals. Turn the Lightpad M into a portable controller for Ableton Live, the renowned digital audio workstation (DAW). Through a customised integration you can play instruments and create tracks within Ableton Live — on the surface of one or multiple Lightpad Ms.
Control music software programs outside the NOISE and Equator environment. Songmaker Kit becomes a versatile controller for Ableton Live, Logic Pro X, and other plug-ins and programs. Start making music with NOISE, a free app that includes hundreds of sounds. It pairs wirelessly with Songmaker Kit, so you can play anywhere you have a connected device. iOS and Google Pixel only. The ROLI Songmaker Kit also includes a Protective Snapcase accessory to protect and transport your Songmaker Kit.